What does it mean for you as a consumer to live in a post-GDPR world? Friday the 25th of May 2018 will probably go over in digital history as a day to remember, as it marks the day the General Data Protection (GDPR) kicked in, unlocking a whole new standard for what to do—and more importantly not to do—with the personal data of European Union citizens. The GDPR is predicted to be the spark that lights a new data protection mindset with both consumers and businesses—and not just in the EU, but globally. Up until this date, a lot of the information about the GDPR has been aimed at enterprises, guiding them to compliance. But really, the regulation is largely created with the aim of serving individuals. So, in this blog post we’ll fill you in on what the regulation means for you as a European Union consumer (we’ll cover what it means for non-EU citizens further down the text). What exactly can you expect of companies and organisations in a post-GDPR world? Read on, and find out. Perhaps organisations can even learn a thing or two from this post. Let’s start with an overview of your new rights and then dive into the details of each before we move on to a few FAQs (Frequently Asked Questions) and their answers. “Do you want to continue hearing from us? Then we need your consent.” Maybe your inbox has had quite a lot of emails with similar wording lately? That is due to the consent requirements of the GDPR that states that organisations can only process data of a person in specific cases (e.g., if it is necessary for an organisation’s compliance with a legal obligation or in order to protect the vital interests of an individual or—and this will be the default situation in most cases—if a person “has given consent to the processing of his or her personal data for one or more specific purposes”). In most cases, this means that you have to give your acceptance before an organisation can market directly to you. And, not just any acceptance, but a purpose-specific acceptance. Pre-GDPR, very few companies—in fact I know none—practiced purpose-specific consent, but post-GDPR that is the new norm. If the purposes of the processing activity change after your consent is obtained or an organisation wants to use your data for an additional purpose, new and specific consent from you is required. In other words, your consent has to be given “freely,” and you have to perform a “clear affirmative action.” But, what does that mean? An “affirmative action” on the other hand, means that YOU have to do something (e.g., tick a box that says: “I consent.”). The box can’t be pre-ticked if your consent is to be considered valid. Post-GDPR you have the right to withdraw your consent at any time. According to the GDPR, it shall be as easy to withdraw as to give consent. You always have the right to request seeing what you have consented to. It is the responsibility of the organisation to demonstrate towards you—and authorities for that matter—that they have your consent to the processing of your personal data. This means you need to be able to understand exactly what is going to be happening to your data. You have the right to receive this information in writing, but you actually also have the right to receive it orally, if you can prove your identity. If you’re having problems deciphering any data-related information, you can contact the organisation or its data accountable, who’s contact information also needs to be provided to you. If an organisation later wants to use your data for a purpose other than the one already communicated to you when your data was collected, it needs to provide information to you about the new purpose and again—for how long it expects to keep your data. In a pre-GDPR world, once you handed over your data to a company, the company basically owned your data. In a post-GDPR world, YOU own your data. You’re merely lending it to organisations in order to help them know you better and service you better. You object to the processing. Your personal data are no longer necessary in relation to the purposes for which they were collected or processed. There are very few exceptions to this right, such as if your data has been collected for legal or scientific reasons. The burden of proving this, and thus refusing to erase your data, is with the organisation. 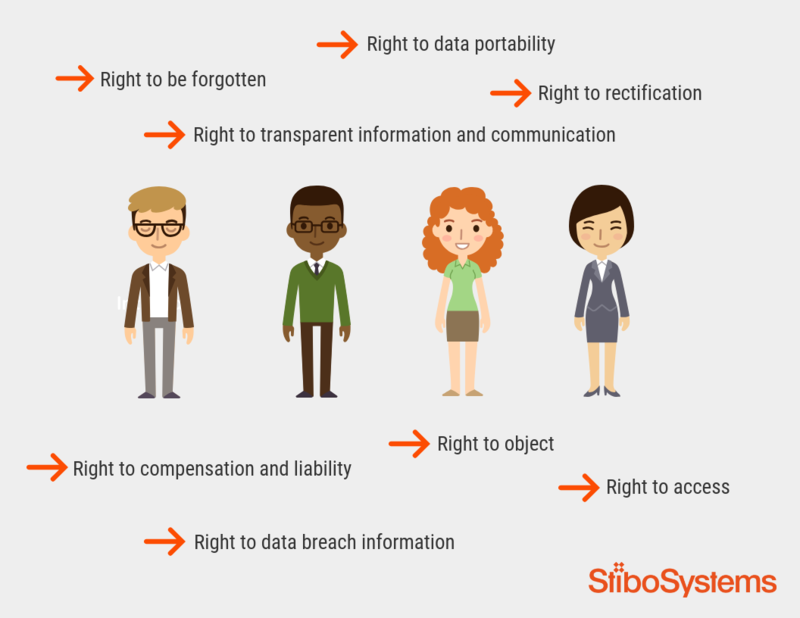 Per "the right to access," you can ask to know what the purpose of your data processing is, who has access to it (e.g., third parties) and how long it is expected to be kept. Furthermore, you have the right to receive a copy of the personal data undergoing processing. This could prove relevant for you, when you are to, for example, receive products or services from an organisation related to the one that holds your personal data. For instance, you can ask your energy company to transfer your data to a solar roof company, before getting an offer from the latter. Or, if you are unsatisfied with an organisation, you can even ask of it that it transfers your personal data to a competitor, and then erases all your data. You have the right to have your personal data modified, for instance correcting inaccurate personal data and have incomplete personal data completed. You can ask an organisation to do so either in writing or orally. There are, however, exceptions where an organisation is not legally required to communicate a data breach to you (e.g., if it has implemented appropriate technical and organisational protection measures, and those measures were applied to the personal data affected by the personal data breach or if the communication would involve “disproportionate” effort). In an example as the latter, the organisation is instead required to do a public communication or similar communication whereby you and others are informed in an equally effective manner about the data breach. Now we’ve covered the basics of what you can expect in a post-GDPR world. But wait, there’s more! Here’s some of the most Frequently Asked Questions from a consumer perspective—and of course their answers. How fast can I expect an organisation to react to my personal data request? According to the GDPR, an organisation needs to react to your request as soon as possible and in any event within one month of your request. Depending on the complexity and number of your requests, the organisation has the right to extend with two further months, but in that case, needs to inform you about it, including the reason for the delay. If an organisation decides not to take action on your request, it needs to inform you about it without delay and at the latest within one month of your request, including the reasons for not taking action and informing you about the possibility of leaving a complaint with your regional Supervisory Authority. What do I do if I experience a violation of my personal data rights? It depends on the character of the violation. If you for instance experience direct marketing from an organisation that you haven’t given consent to (or don’t recall that you have) you can start using your data rights, e.g. 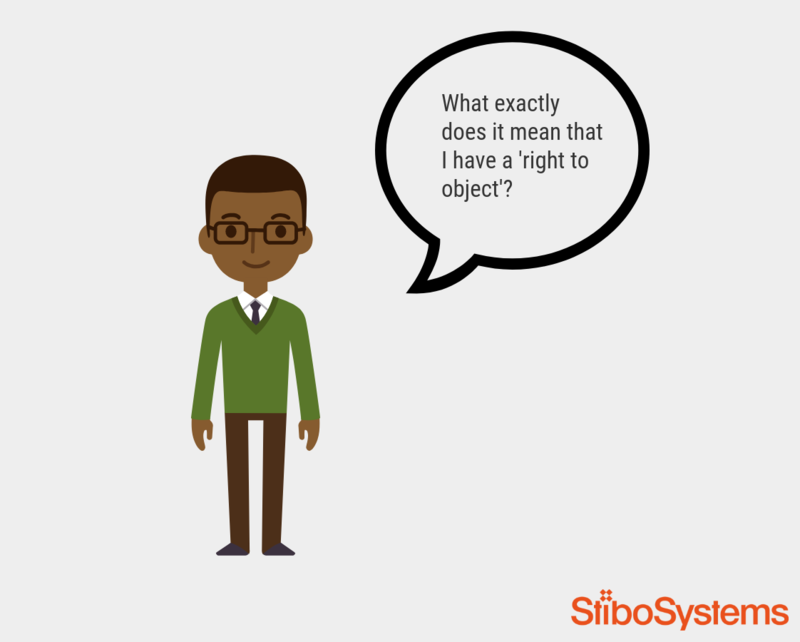 the right to access in order to be informed about what data the organisation holds on you and with what purpose. If you feel that your personal data aren’t safe or you don't wish to receive communication from a particular organisation, you can always use your right to be forgotten. If you experience a severe personal data violation or an organisation just won’t respond to your requests, you need to reach out to the Supervisory Authority in your region to leave a formal complaint. Do I have right to compensation if my personal data is leaked? However, it is very difficult to predict at this stage as courts have not yet considered any compensation claims brought under the GDPR. Do I have to pay anything to practice my rights? The organisation however needs to demonstrate the “manifestly unfounded or excessive” character of a request. Do I have any personal data rights if I’m not a European Union citizen? In principle you only have your regional data protection regulations. However, you can expect that international organisations will follow GDPR’s lead and offer the same personal data "services" to you as to any EU citizen. However, you do not have the legal basis to demand those rights. It is expected, though, that the GDPR will raise data protection standards globally, as other regions will most likely follow in the European Commission’s footsteps. So, there you have it. GDPR for consumers in a nutshell. We hope you are now equipped to take back the ownership of your personal data. Maybe you’re going to start withdrawing consents right now. Or maybe you’re never going to use any of your new rights. Either way, you can be sure that your personal data is better taken care of after May 25, 2018, than it was before.